Whether you need a special look for an important upcoming event, or simply want to inject some extra chic into your daily style, your hair is the area to turn your attention to. From hair jewelry to classic elegant hairstyles, here are just a few of the ways in which you can glam up your hair. Hair accessories are nothing new, but adding some flowers to a style can really transform it from something simple to something show-stopping. A trail of flowers exudes a fairytale-like quality, and can be tied into just about any type of braid, giving it even more of a flowing feel. Alternatively, try a smattering of flowers, with something like daisies or rose petals, held in place with some sea salt spray. You can also never go wrong with a halo of flowers surrounding a top knot, especially if you opt for a spray of baby’s breath. Opt for blooms that are quite sturdy and long-lasting, avoiding any that will drop pollen throughout the day. While strongly scented flowers may be tempting, you might want to stay away from these, as they could potentially attract insects to your hair. Flowers that have a half-moon shaped profile are easier to work with, as their base will lay flat against your hair rather than sticking out too much. Need some help picking flowers for your hair? Looking for something edgier than flowers? If so, you may want to consider hair rings. These have been seen on so many celebrities lately, and while they could be considered just a trend, they are one that will definitely help to take your hair to the next level. Not keen on flowers, or even hair rings? Well then pearls are another option, especially since these are a classic but one that has been on trend lately. Pearls can work withjust about any hairstyle, and really give you the opportunity to get creative with your hair. Try weaving them into a braid, or tying them around a sleek bun. Just like with the flowers, you could also purchase pearl accessories of different sizes, and add a smattering of them throughout your hair. When it comes to the many different hairstyles out there, old Hollywood waves tend to be amongst the most glamorous of them all. What makes this even better is the fact that they are actually quite easy to create, and can instantly transform the most drab look into something extra special. To begin with, you need to apply a root lifter, as well as a volumizing mousse, to your hair, before blow drying it. Make sure that you create a deep side part, rather than a center part, experimenting with both sides before deciding which one highlights your features better. Next, divide your hair horizontally into two sections, clipping the top half out of the way. Take a two inch section from the bottom half of your hair and give this a curl with a curling iron. Wondering how big your iron should be? One and a quarter inch is perfect, although if your hair is quite resistant to being curled you may need to go for a one inch wand. Once you have released the curl, use a clip curl pin to coil this up and pin the curl at its root. Because this gives it time to set, and will ensure that you have plenty of volume at the root of your hair, which is exactly what you need to pull this hairstyle off. 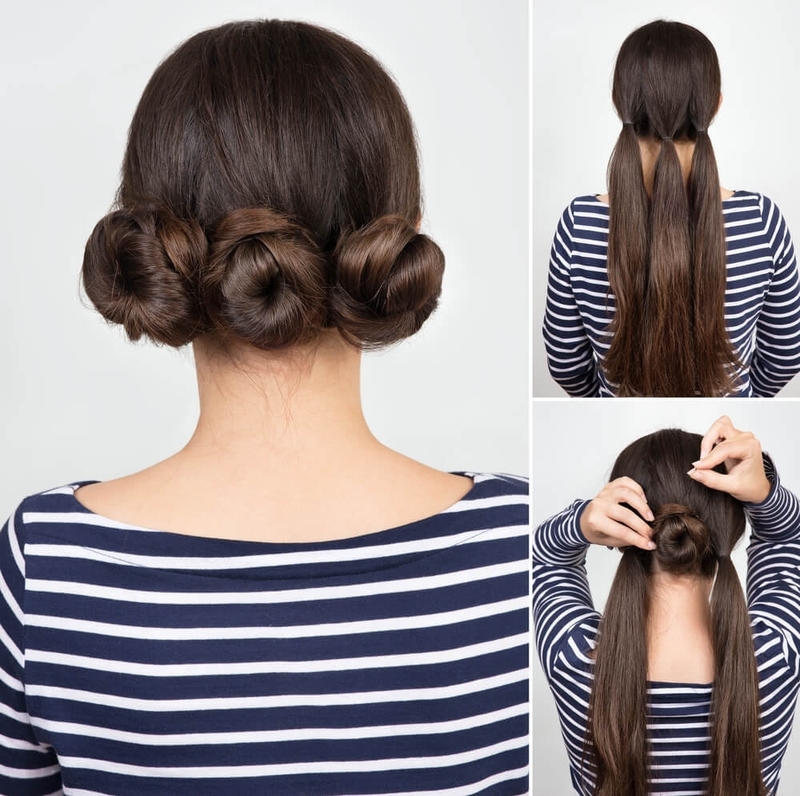 Keep repeating this process until you have curled the entire bottom section of your hair. You will need to curl this part in a similar way, but make sure that your curls are bending away from your face on either side. As you curl each section, continue pinning it up in the same way you did with the bottom section. Once all of your hair has been curled and pinned, give it a spray with some hairspray and then leave it to set for five to ten minutes. Then, release the clips and brush your hair out, so that it falls naturally into an S-like shape. Take a look at where this S-shape dips in, and use a duck bill clip to clip this into place. Do this all the way around your head, as you want to really secure this shape. Give your hair another spray with the hairspray, and leave it to set for a few minutes before releasing your hair from the clips. Need some extra volume around the roots? 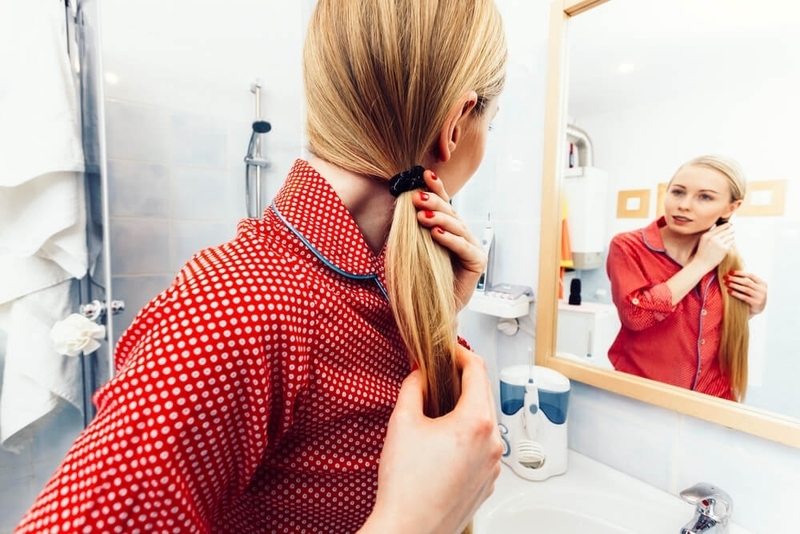 Try using a rat tail comb to lift the hair around your roots, before spraying with some hairspray. Scarves are the perfect way to glam up your hair no matter the season of the year, and are often a go-to accessory for many when experiencing a bad hair day. Not quite sure how to tie one into your hair in a way that looks glam? Need some help choosing a scarf to use for your hair? Silk will always be the superior option, as this is breathable, durable and drapes beautifully around the head. Cotton is also a good option, as this is breathable, lightweight, and will absorb any sweat, but just make sure that the scarves you choose are not too thick to tie. It is important that you see what the scarf looks like when it is held against your head, as certain prints and patterns may not be as complementary as they look on the clothing rack. 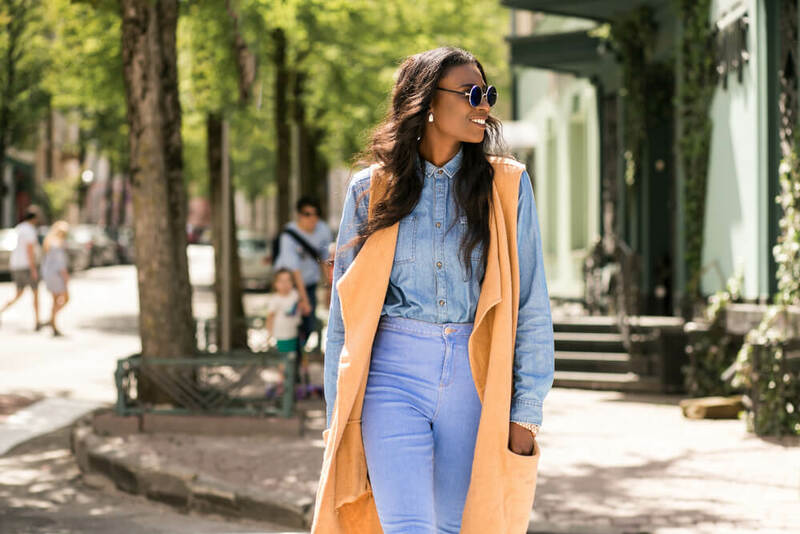 Keep color and scale of pattern in mind, and do not be afraid to opt for a simpler, solid colored scarf instead. From floral pins to headbands, have some fun experimenting with giving your head scarf a touch of your own personality and style. Hair that is healthy and shiny will naturally look so much more glamorous on its own, without you even having to do much to style it. Always dreamed of having ultra glossy hair? 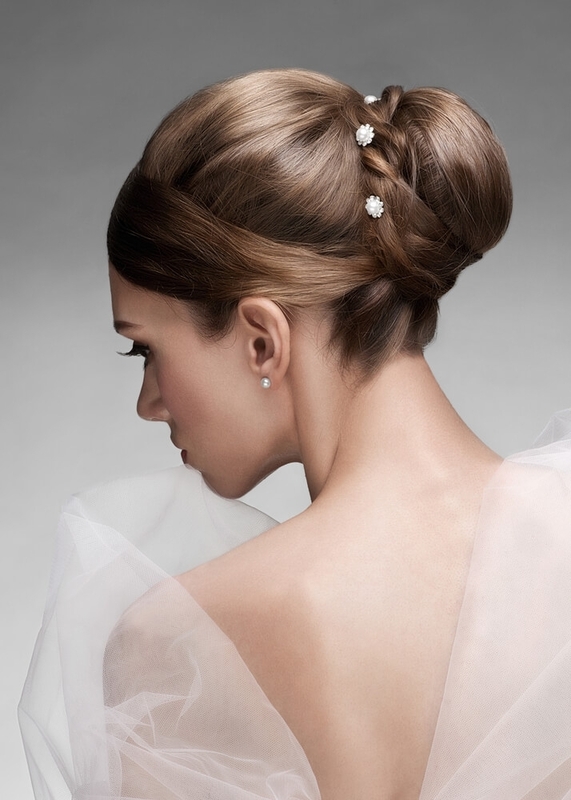 Updos are the perfect way to glam up your hair, as they add an aura of sophistication to your look. Updos can often be quite a pain to create, and you are unlikely to master a new style on your first try, but this is actually extremely common. Many professional hairstylists actually create the style a first time, before taking it down and re-doing it. Because this encourages your hair to set in its final position, and it will be so much easier to manipulate the second time around. In fact, hair that has not been washed for a day or two will have so much more hold and grip, making it far easier to create your desired style. This is because washing your hair takes away its natural oils, and therefore its natural texture, making it too slippery for a perfectly finished updo. Have you already washed your hair but need to create an updo right now? If so, do not worry. Just reach for your dry shampoo immediately to give your hair the texture and hold that it needs. Make sure that you only add a small amount at a time, working this into your hair before deciding whether or not you need some more. 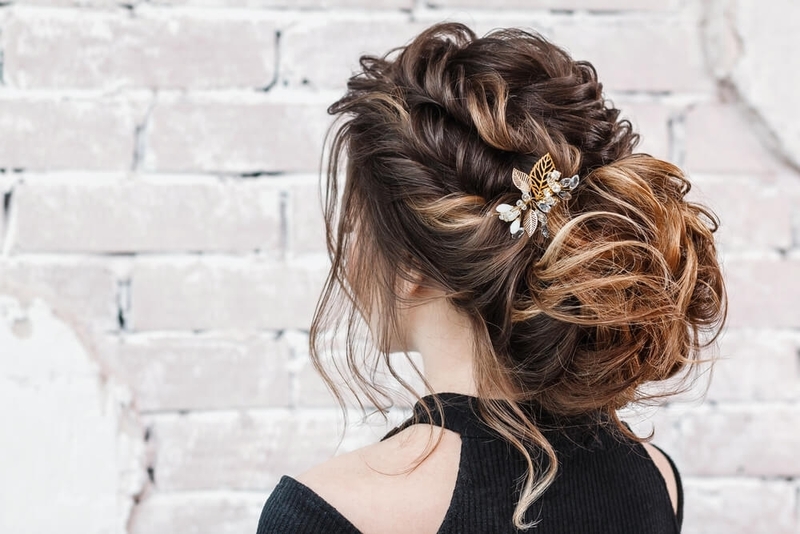 You will have likely noticed that just about every single updo style out there will require the use of a hairspray in order to ensure that it holds for a longer period of time.